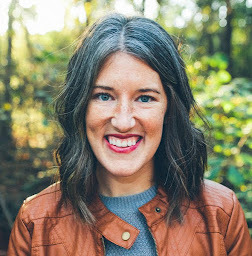 My sweet friend, Mirela, wrote a guest post about dealing with and preventing cloth diaper leaks. I'll be adding more on the topic later. Read and enjoy! The adjustable waist and leg stretchy bands allow the diapers to "grow with your baby" so they can use it until they're potty-trained. (In my head, that equals saving money.) The adjustable snaps for closing are very easy to use. They prevent baby from taking off the diaper and also allow the diaper to "grow with your baby." The cuteness aspect of it is pretty self-explanatory! 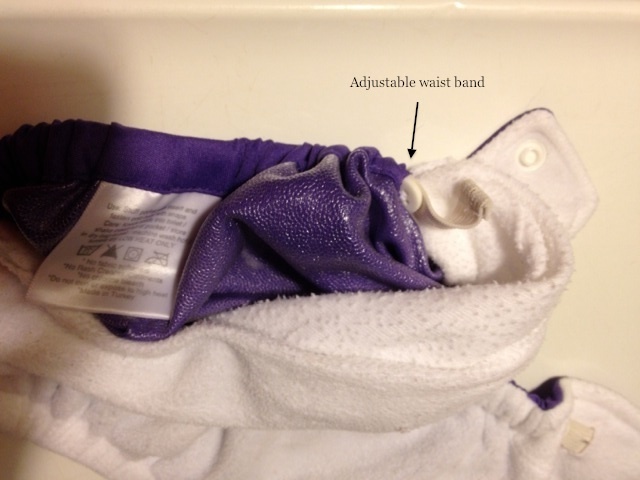 Almost 2 months into our cloth diapering experience we ran into the "leaking" issue. It wasn't anything too crazy or out of control but it did annoy me. I'd be feeding Norah after she woke up from a nap and would feel something moist on her bottom. After "investigating" what was going on, it was easy to figure out that the moisture was actually pee that had escaped from her diaper! So to solve this little issue I "played" with the adjustable waist elastic band as well as the stretchy elastic around her legs. 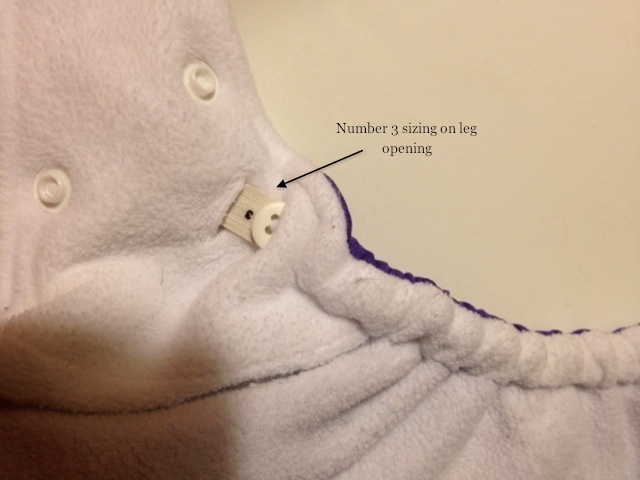 The sizing of Fuzzibunz on the elastic goes from 1 to 7 on both ends, where 7 is the tightest (for preemies) and 1 the loosest. When I started noticing the leaks, Norah's diaper was on size 2 on one side and 4 on the other side. I decided to change both ends of the elastic to a size 3 and experiment. It worked for preventing the leaks, but I realized that it was too tight on her legs. So, I decided to keep the size 3 on one side and change the other side to a 4. I experimented with that for the next few hours. Finally, it worked! Her diaper wasn't leaking and it wasn't too tight on her either! Once we figured out the right size, we just changed the other diapers to that same size and voilà! Leak-free baby! Adding to that, Brad suggested to go an extra snap on her waist which also made sure the diaper was secure and leak-free. As Norah grows and eats/poops/pees more, I have started to use 2 inserts instead of 1 in her diaper. This is more out of prevention rather than reaction to the leaking issue. We have had no problems for months and months now and Norah looks super cute with her "big-diaper booty." Click on the Fuzzibunz banner at the bottom of this page for more information about their diapers. To read more on why I chose cloth diapers, click here. Good post! We had same issues and took me almost a year to fix.